There was no winner this week, as there were zero entries. Want to win a free psychic reading? Enter your own story about an amazing spiritual experience today; your odds of winning are very good! Next week’s winner will win a free email reading with Oceania Kelley (pictured at left). Oceania harmonizes knowledge, wisdom and tarot to support your personal journey. She illuminates pathways and transforms roadblocks into stepping stones. 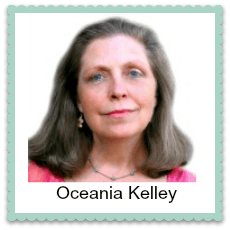 For more on her work, visit OceaniaKelley.com. If you’re hoping for a free psychic reading, this is a great way to win one: just share an amazing personal spiritual experience with us. Each week, we’ll pick the best story and the author of it will win a free psychic reading from the reader offering one that week. Stories should be true, amazing, and be either about you or someone you personally know. Winners will be notified by email, and winning stories will be posted here each Monday. To enter your own story in the contest, please use the form below. (You may want to write it up first and then copy and paste it here.) We look forward to reading about your amazing spiritual experiences!